Selecting the job interview attire for women that makes the right impression and fits in with the company image can make you anxious. Follow these simple guidelines on how to dress for your next interview and be ready for success. The rule of thumb is to dress in a professional and neat manner. It is generally better to be over-dressed than under-dressed. The job candidate who arrives in a smart outfit will always make a great first impression, whatever the work environment. The classic black business suit is a clever option when deciding on your interview attire. It always looks professional and smart. It can be worn in any environment and can be paired with either the basic white blouse or a colored blouse if you prefer. 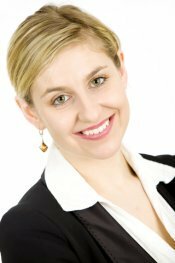 The business suit can be dressed up or down according to the job interview dress code with a different type of blouse and leaving the jacket buttoned or open. You don't have to spend a fortune on a business suit. Using these resources you can get hold of a suit on a limited budget. Job interview candidates can't go wrong with the classic white blouse - nothing is more tried and true! You can accessorize the blouse with a simple black bead necklace or a long pendant. Nothing too chunky! Whatever jewelry you select remember it should be understated and not distracting for the interviewer. So avoid big, dangling necklaces that make clanking sounds every time you move! 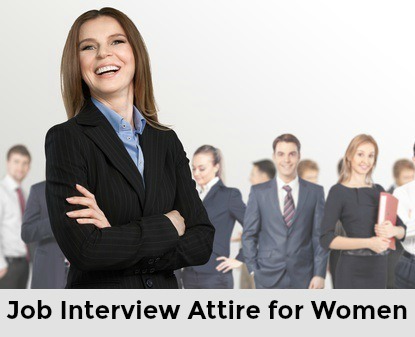 What is appropriate to wear to an interview for women? 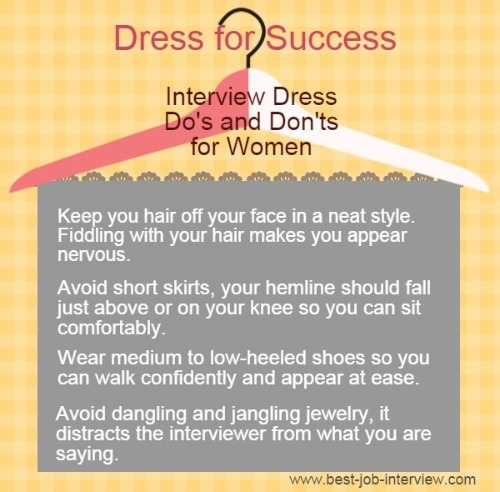 These interview dress tips will help you select the right job interview attire for women. The hem of your skirt should fall just above or on your knees. When you sit down at the interview your skirt always rides up a little. A shorter skirt often results in having to tug it down during the interview! Classic black pumps are appropriate for any job interview. Look for a medium heel that is not too difficult to walk in. What to do with your hair? The most important thing is that your hair should look neat and tidy. If you have long hair you can brush it behind your ears. Or put it up neatly in a style of your choice. The important thing is that your hair should not fall over you face in any way or require you to keep pushing it off your face during the interview. This will only irritate the interviewer. If you are looking for interview attire ideas that do not involve wearing a classic black suit view these job interview clothing suggestions. These clothes will be more suitable for a less formal interview environment or for younger job candidates who are interviewing for junior positions. Avoid basic job interview dress mistakes. What are the interview clothes do's and don'ts you should be aware of? It is important that your job interview attire fits in with the company dress code. Find out more at job interview dress code.